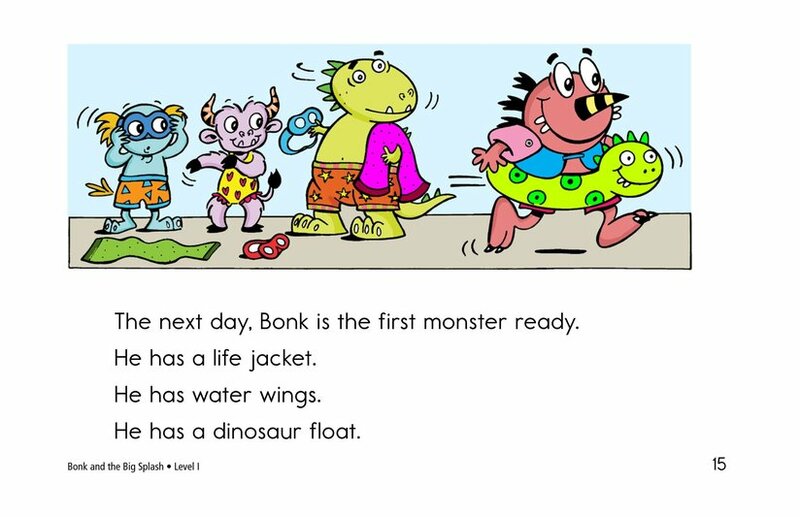 Bonk brags that he once swam across the whole ocean. 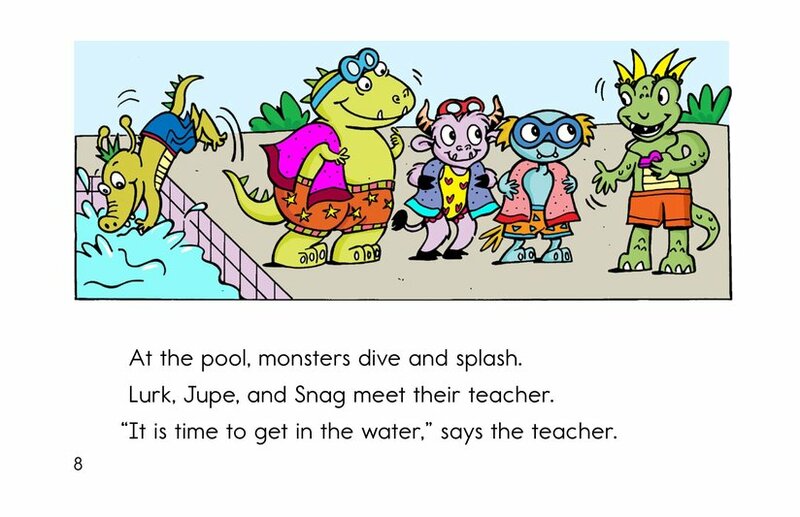 But when he goes to the pool with the other Monsters for swimming lessons, he suddenly doesn't seem to like swimming. 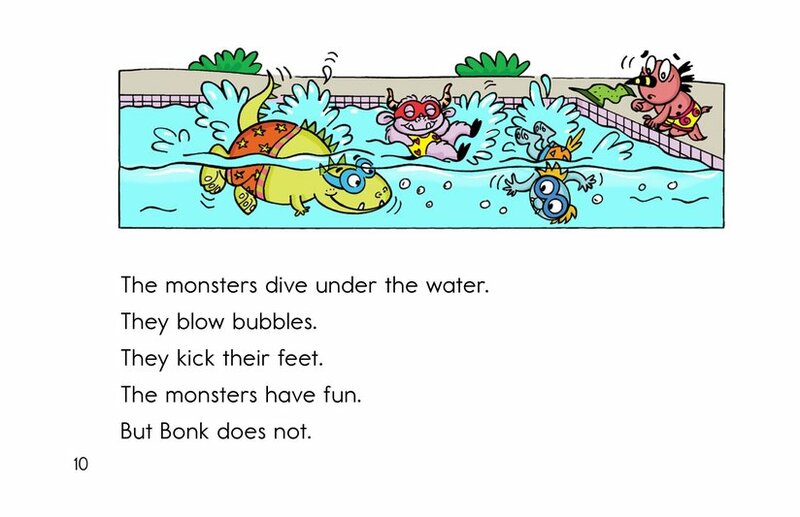 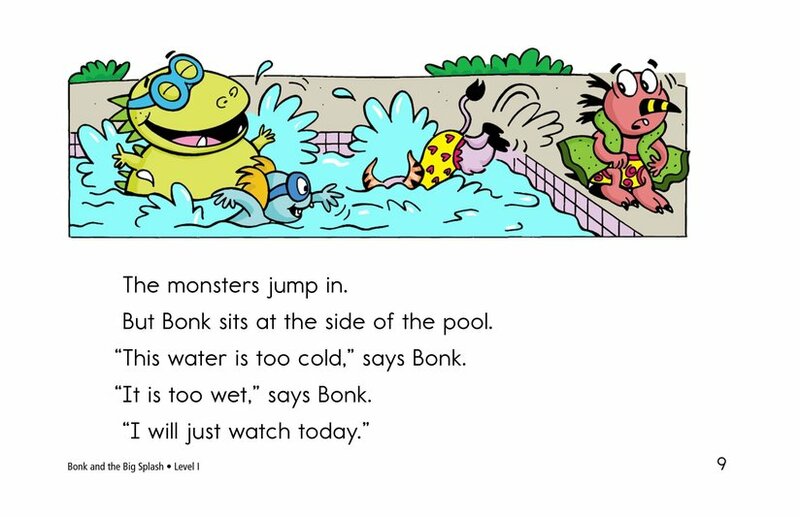 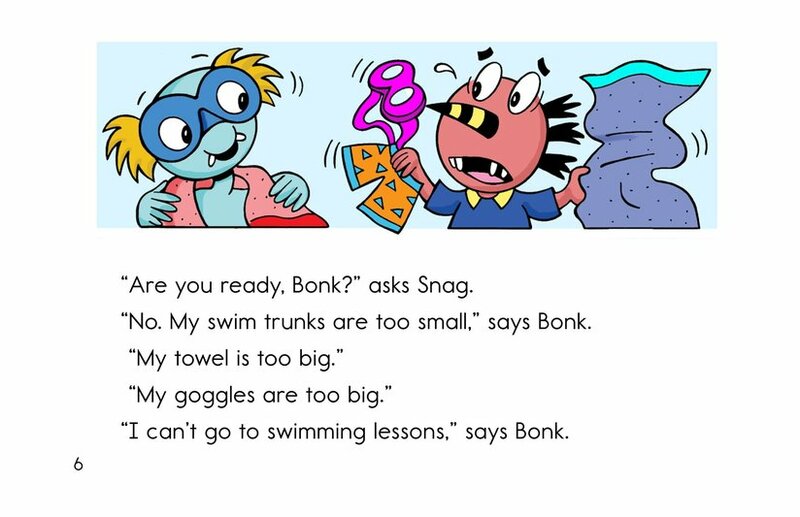 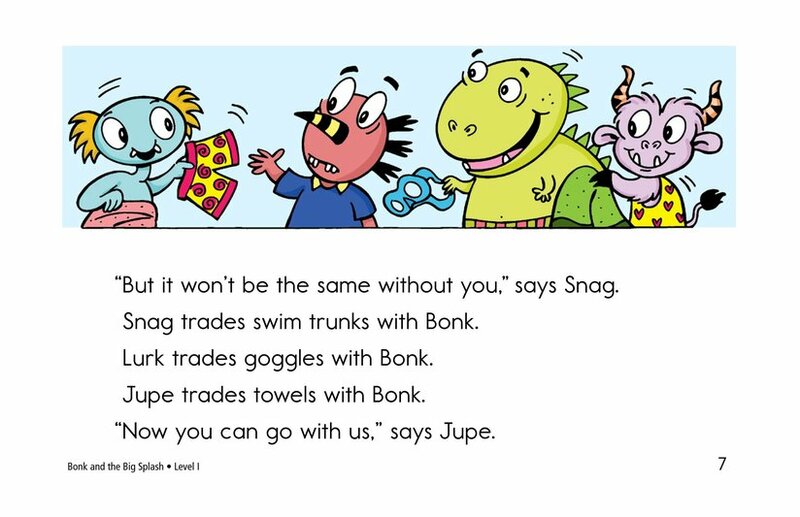 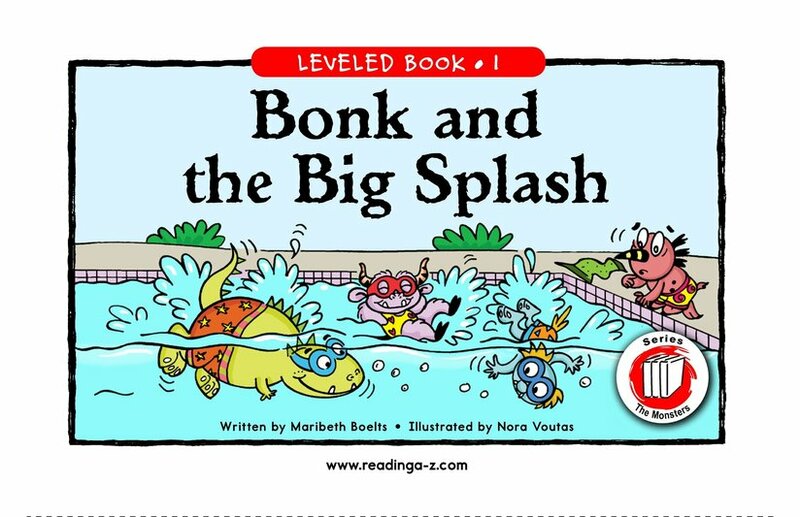 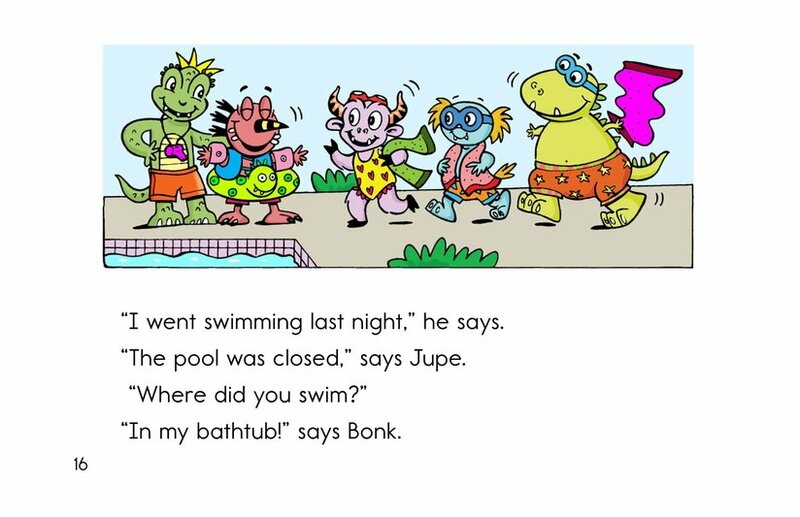 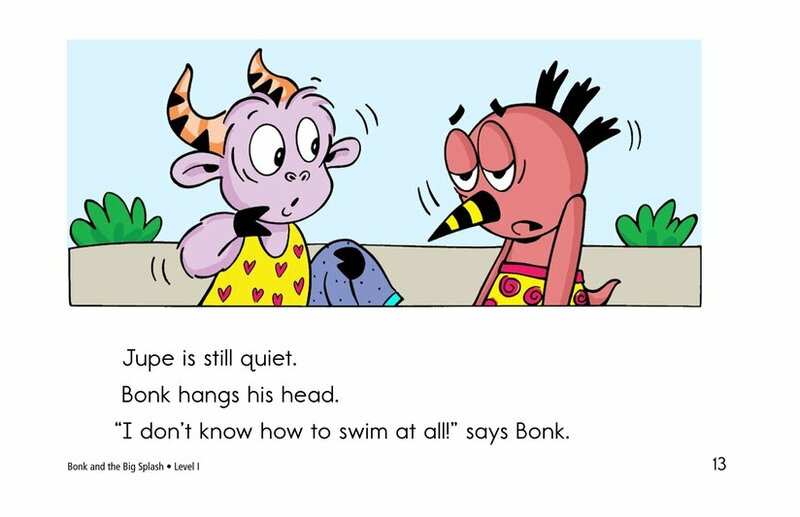 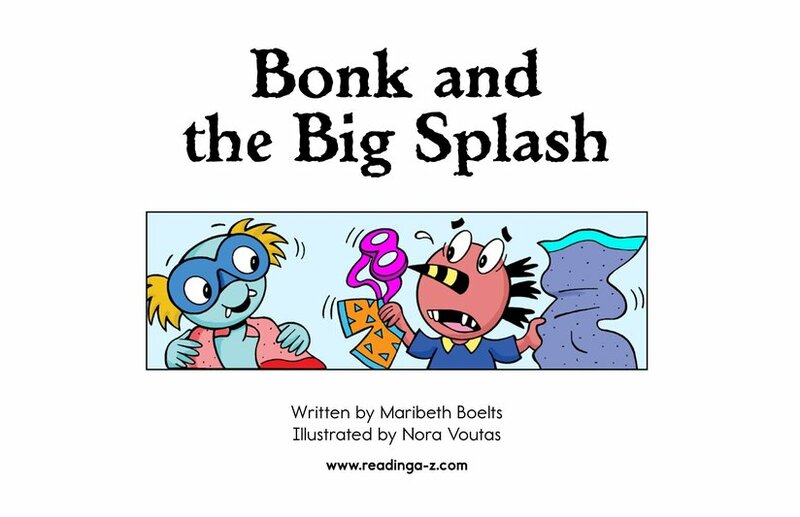 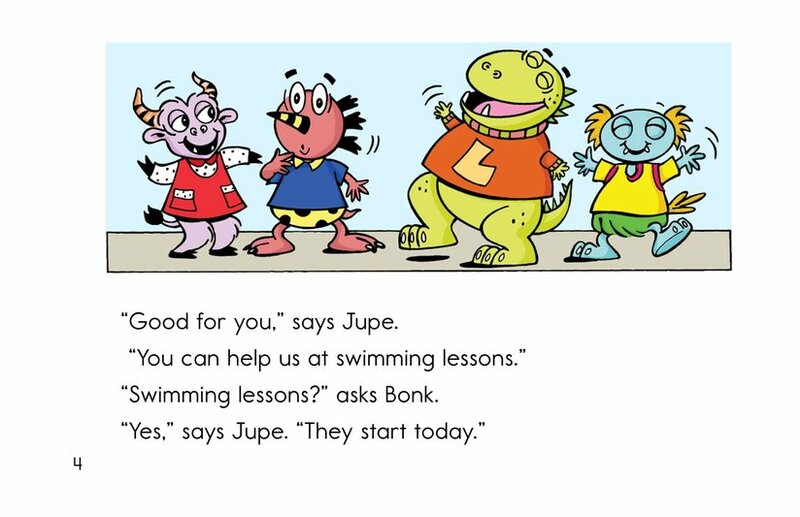 Even though Bonk insists that he is a good swimmer, Jupe lets him know that it is okay for Bonk to be afraid.